The Courthouse Quilters of Hunterdon County will welcome internationally reknown quilt designer and author, Gwen Marston on April 15 for a full day workshop entitled, "Small Studies." 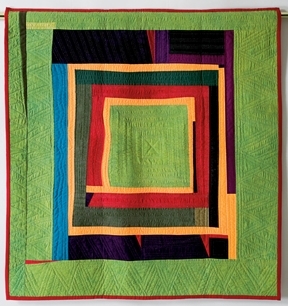 This is an opportunity to explore abstract quilt design in a safe, worry-free small space. The workshop is open to non-members for a fee of $55.